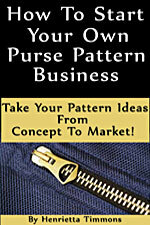 Briefcase Style Tote Pattern Briefcase Style Tote Pattern [JWD403] - $10.99 : PursePatterns.com, Sew your own unique purse or bag! 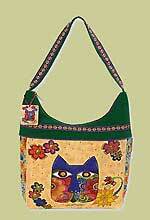 The Briefcase Style Tote by Jean Wells makes a perfect tote design for carrying a laptop or iPad. 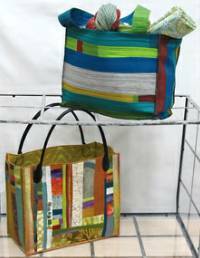 The bag fabric has been pieced improvisationally to create a modern patchwork look. 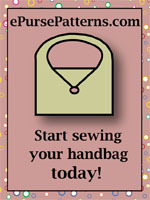 Directions are included for cloth handles or purchased leather handles. The finished size is 12" x 10" x 6".